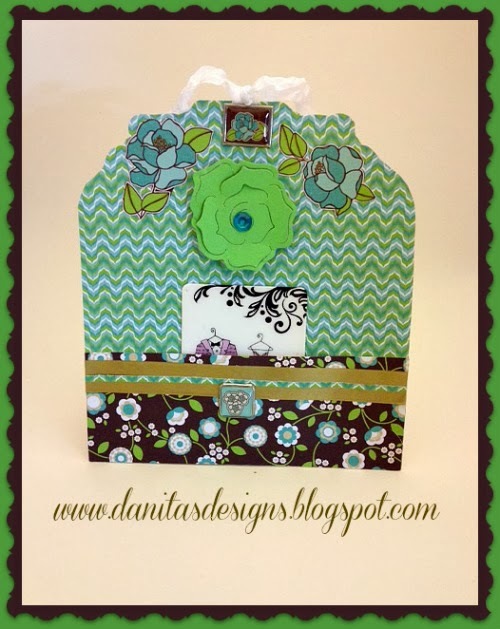 Hello Everyone, it's Danita from danitasdesigns.blogspot.com. Some of you already know that I have been posting about my crafting retreats this month. I had 3 back to back! While they were a lot of fun, I am tired!!! 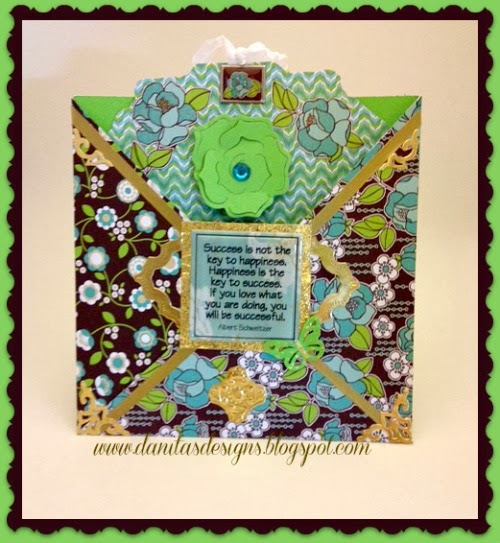 I'll share with you one of the cards I made at the retreat this past weekend. It's a folded card with a gift card tag. I bought a cardstock pad and matching brads and I wanted to see what I could come up with. I've never used brads. The collection is called "Bonjour" by GCD Studios. The card is 6 x 6 with a pocket in the middle to hold the tag. I added gold washi tape and I used Spellbinder dies for the flourishes on the front. What a wonderful way to present a GC!